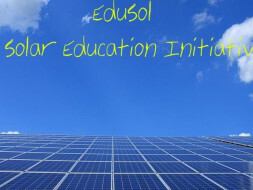 Help Me Promote Solar Education Through Project EduSol! India possesses immense resource of Solar Energy in form of incident Solar radiation. Despite of this fact, lakhs of Indians still live without reliable source of Electricity. There is a need for an Educational Program in India that introduces Solar Energy to students and teaches them how to harness it. This need is much greater for the people living in rural communities. The first step to solving India's Energy Crisis is to educate the youth about the potential of Alternative/Decentralized sources of Energy. 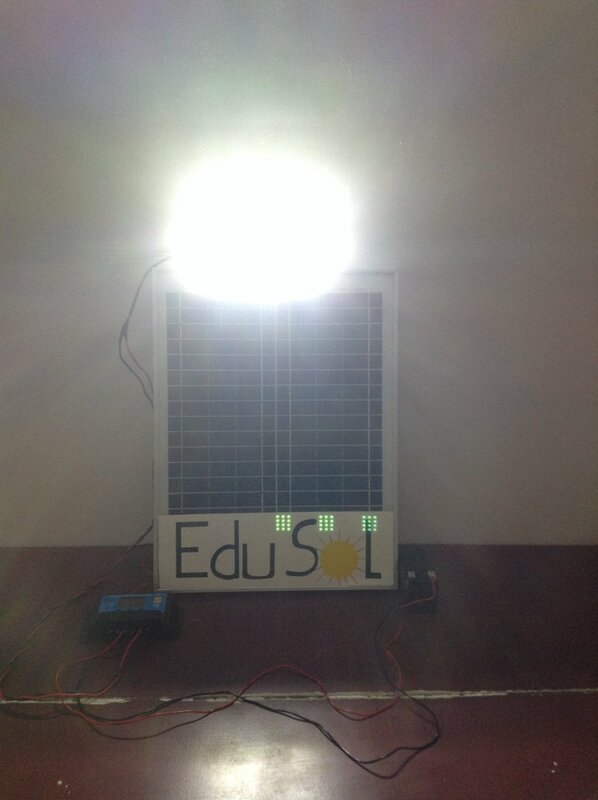 I would like to address this issue through India's first of its kind Solar Education Project. The project is designed for the students of ages 12-15 studying in rural communities. I plan to visit schools/communities in rural areas of the country and do the following. Explain the basics of Electricity and its various Sources. Explain how Solar Panels Work? Teach how to measure Voltage, Current using Multimeter. And how to Power mobile phones, tablets, DC fans, LED Bulbs,etc.. Through Solar Panels. Distribute EduSol Educational Kits for the rural schools to use for educational/community project purposes. 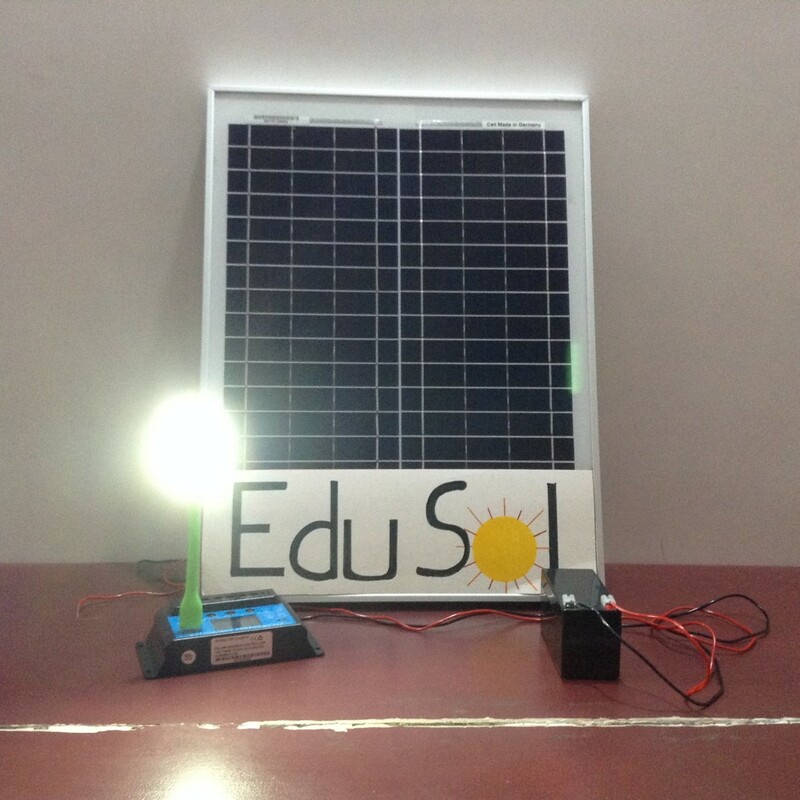 12V 20W Solar Panel - Rs.1500. Solar USB Charge Controller - Rs.1200. 12V 1.3Ah Lead-Acid Battery - Rs.500. Digital Multimeter (Generic) - Rs.200. USB LED Light Stick - Rs.80. Wires and other Electric components - Rs.120. 12V SMD LED (For high power usage) - Rs.150. Total Cost of 1 Kit - Rs.4050/$62. 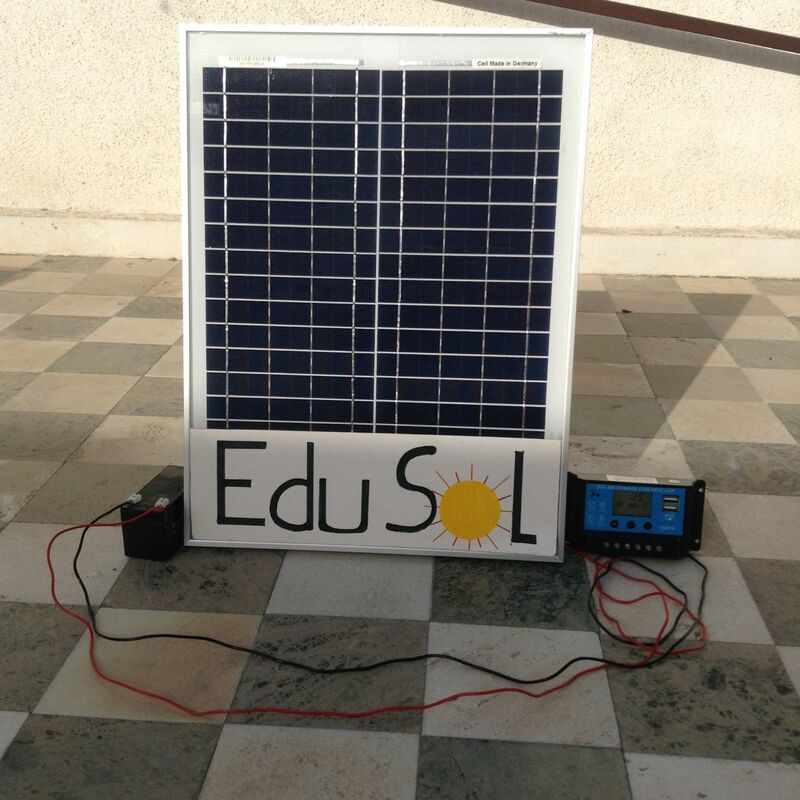 100% of the fundraiser amount will be used to buy the electronic components for the EduSol Educational KIt. The goal of this fundraiser is to raise at least Rs.20000 to buy and distribute 5 EduSol Educational kits. I am Chintan Mehta, a B.Sc student studying Physics and Electronics at Christ University, Bangalore. Since participating in the KL-YES Exchange Program to the U.S.(funded by the Dept. of State) in 2012, I have been passionate about involving myself in various community service programs. After coming back from the Exchange program, I have helped an NGO(Global One to One) start an International Letter Exchange program in 2013 between schools in the U.S. and in India. Since 2013, more than 100 Indian school students have participated in this program. I have also helped facilitate a Robotics Educational Program managed by the same NGO, in 2017. I would like to use the skills that I have acquired from studying Physics and Electronics, and put them to practice through this social cause. 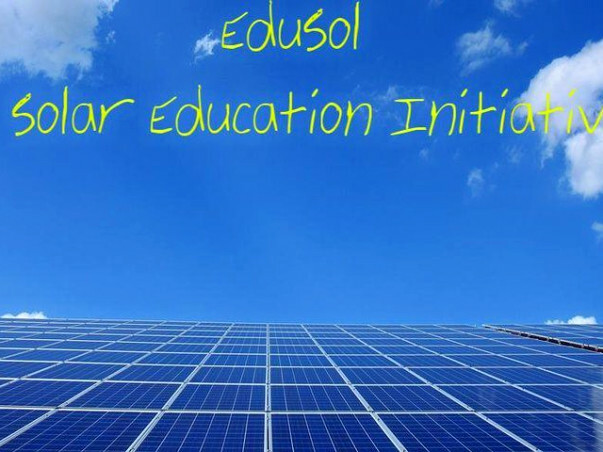 Today is the beginning of the EduSol Project! I just got all the electronics connected to the Solar Panel. And they work great! 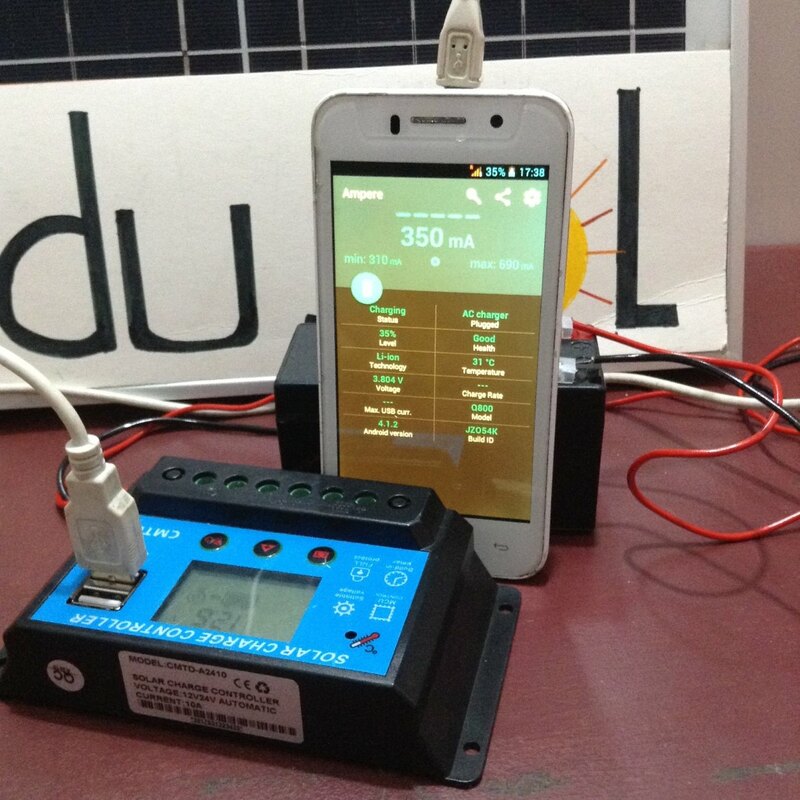 The 12V 1.3Ah battery charges quite fast when connected to 20W Solar Panel through a Solar Charge Controller. Using the battery I tried powering USB LED Light, a phone, and a 36 LED SMD. Here are the pictures!